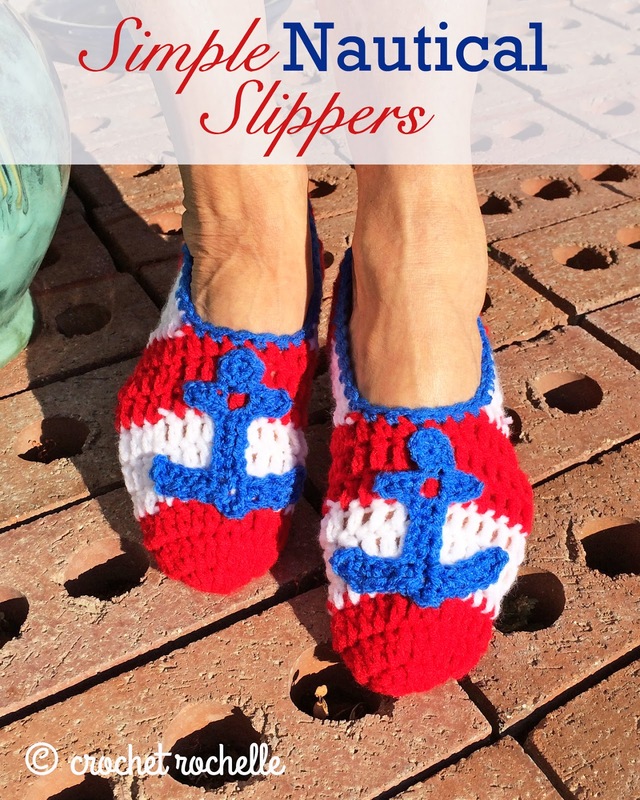 I love slippers and I love nautical colors and themes for summer time. (I also love summer!) 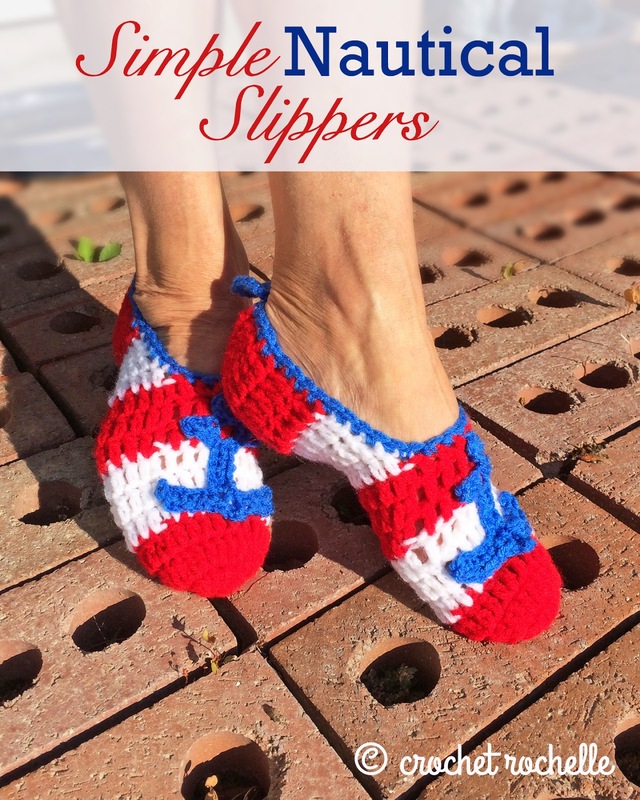 I wanted a simple slipper that I could slip on (say that five times fast) in the mornings to wear out on to my deck where I have my first cup of coffee. I live in Western Idaho on a high desert which means cool summer mornings and blazing hot afternoons. It’s great fun! But that also means I can’t be wearing big ole’ heavy winter slippers around either. My feet will get too hot too fast. I don’t normally wear slippers past 8 AM any way, but you just never know. Chains do not count as stitches in this pattern. Join your round to the first dc, not your chain. Start your first stitch of each round in the same space as your chain. Sizes are based on averages, measure the intended feet for a truer fit. To sew up heel: Turn slipper inside out, sl st to first dc of Row 18, pinch seam together and sl st through both sides down length of seam. Turn slipper right side out to work simple edge around slipper opening. Rnd 1: Ch 1, sc around evenly, join. Chain 15, sl st to first chain to form a loop. If you are having trouble with the heel, check out the image, comment below or send me an email and I'll do my best to help! 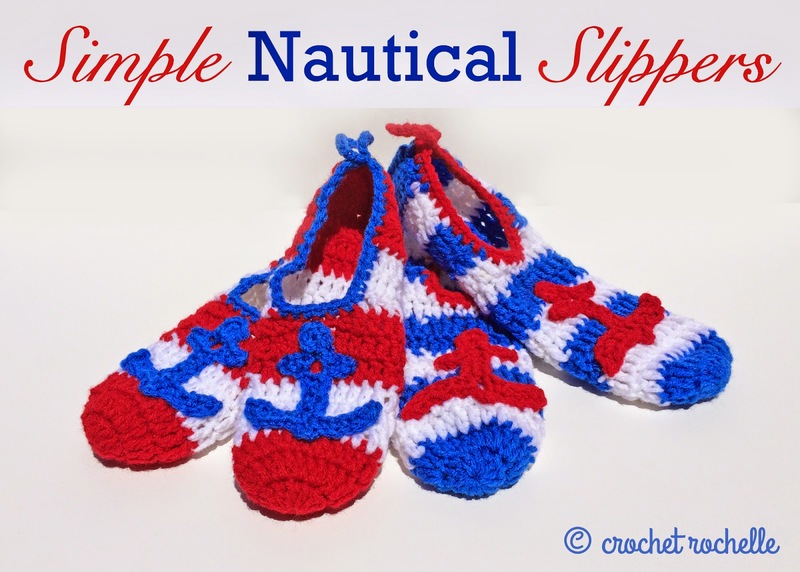 I used Petals to Picots free Crochet Anchor Pattern to embellish the tops of my slippers since I was going for a nautical theme. 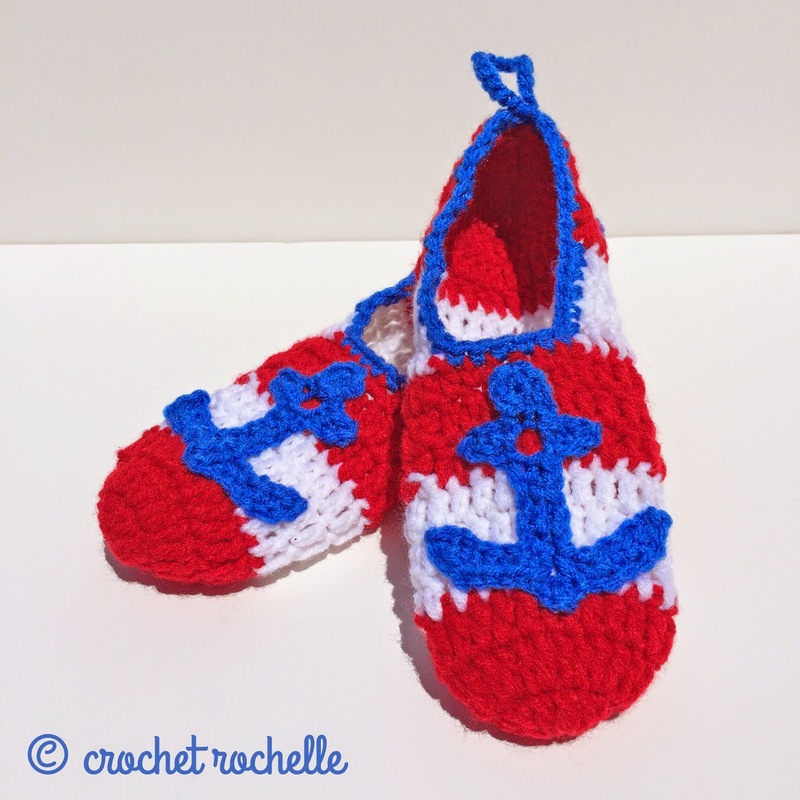 I think the anchor is so adorable and sets off the slippers nicely. If you are using other colors or combinations and depending on the season, add flowers, buttons, ribbons and all sorts of accents to give your slippers personality and pizazz! Enjoy your cozy new slippers! Don't forget to rock with me over at Facebook, Pinterest and on Ravelry.